All photos are by Julie Willis. Julie at Heronswood Garden, The Diggers Club, Dromana, Australia. Julie walked into the gardener's mess at Hidcote wearing blundstones, which gave me a clue where she was from. Julie is English, currently lives in Australia and works in the Heronswood Garden in Dromana, Australia. Previously, she worked as a gardener for 15 years on Hampstead Heath in North London. Julie was in the UK as a botanical guide leading a 10-day tour of British gardens and she decided to spend some of her time working with the gardening teams at Sissinghurst and Hidcote for a week each. The Red Border at Hidcote. Photo by Phyllis Odessey. 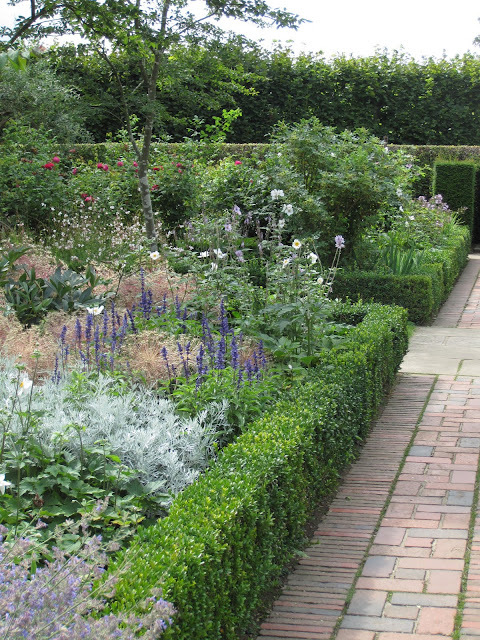 "I did the work experience at Sissinghurst and Hidcote as I wanted to see how they designed and maintained their herbaceous borders. 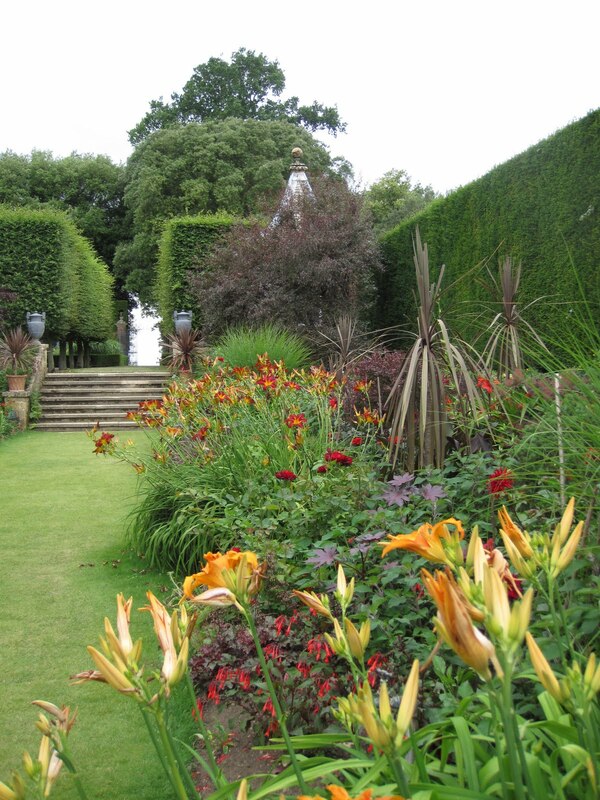 I was also interested to see behind the scenes of two of the UK's most iconic gardens." Photo by Phyllis Odessey. Sissinghurst looking down. 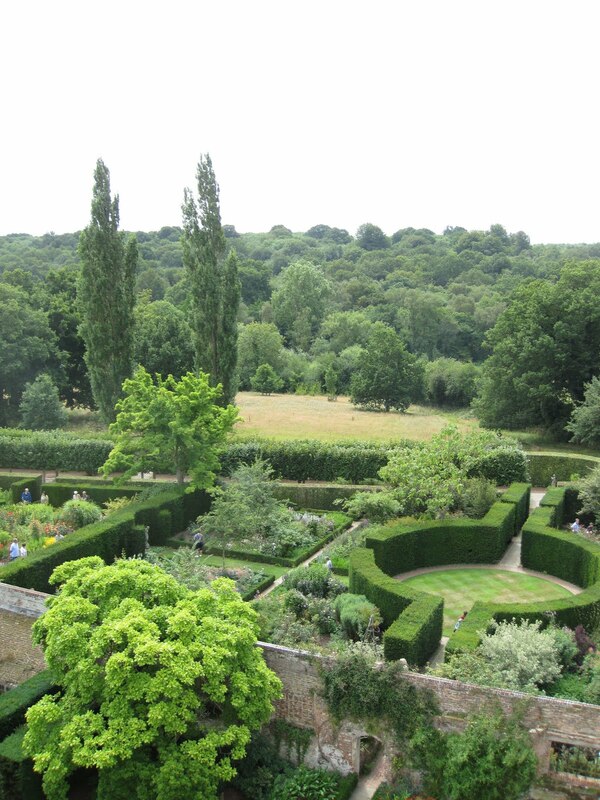 Can you describe your experience at Sissinghurst? "At Sissinghurst, I loved the planting combinations, obviously planted by a designer with a strong sense of form and texture. The gardening team is so dedicated, they really feel it's an honor to work there, this loyalty results in a amazingly high standard of maintenance with great attention to detail. The gardeners were also very hospitable and welcoming. I really felt part of the team, even though I only spent a week with them. How would you compare gardening in the UK with gardening in Australia? "My trip really reinforced the idea that England is a nation of gardeners, it really seems to be the number one leisure pursuit. During my 10 day garden tour, I saw so many fabulous gardens, lots of different styles, but all great examples of horticultural diversity and excellence. Of course the weather contributes greatly to the look of the gardens in the UK, cooler temperatures, regular rainfall and soft lighting really make the country look lush and verdant all year round. In stark contrast, the intensity of the sun in Australia not only scorches the gardens, but also bleaches out colors and turns the landscape brown. Plants that survive these conditions well are those with blue, grey and silver foliage, so there's rarely that cool dark green look of the UK. Warm temperatures and plenty of sun does have its positives though, we enjoy a year round growing season, which is great for the veggie garden, and we can grow all manner of exotics including citrus and avocados." In terms of sustainability, what are the concerns of Australians? 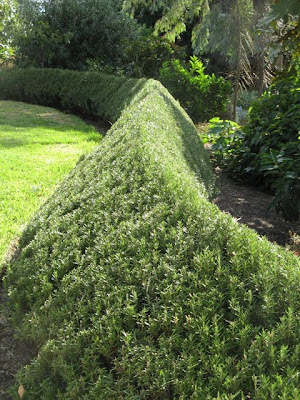 "Probably the biggest concern for Australian gardener is water, or rather, lack of it. Last year, it didn't rain for 3 months, and even when it did rain, it was only small showers that really evaporated before it had time to soak in. Everyone has rain water tanks, usually a minimum of 5,000 litres, we've just installed one at work of 240,000 litres, and we always have a bucket in the shower to catch the water to use on the garden. Recycling grey water is big business here." Heronswoods Garden. Photo Courtesy of Julie Willis. The majority of gardens here are based on English design, herbaceous borders and cottage style plantings are popular. 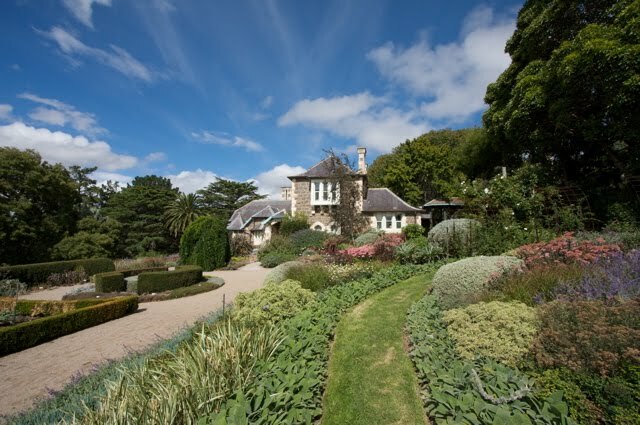 My favorite gardens are the Australian ones though, those using native plants. I suppose it's new and exciting for me and feels very exotic, just as the English plants are to the Aussies." *****All photos supplied by Julie Willis of Heronswood Garden, The Diggers Club, Dromana, Australia, except those by Phyllis Odessey where noted. I love these ideas! I am passionate about hydroponic gardening because the possibilities are limitless. Verticle gardens make so much sense. Simply amazing. I had a large area rug that was beyond help - I was ready to throw it out. The tool boss team came and cleaned it up so nicely that it nearly looks new! They did my mattress as well! Very nice, professional cleaners. Best ones I've ever used at thetoolboss.com. Gardening is the best way to put you in a busy life; gardening is not any easy or simple task for everyone who is interested to grow some food in their own garden. Gardening Library helps you to understand the better and advance technique to grow your food in your garden very efficiently.